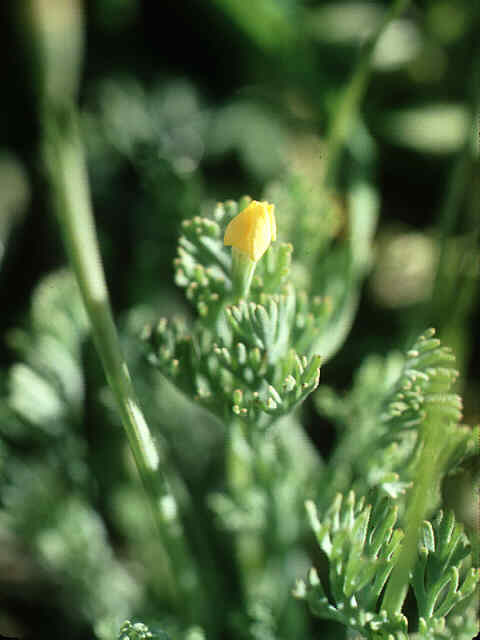 The plants are scapose or nearly so, with barrel-shaped receptacles, erect buds, and small yellow petals. At the Carrizo Plain locality, they grow on heavy clay soils that accumulate water in the springtime to form small vernal pools. The poppies grow on higher areas almost as an understory to taller Lasthenia, Phacelia, and grasses. They are virtually invisible at any distance, and this coupled with their unexpected habitat probably accounts for their sporadic collection. 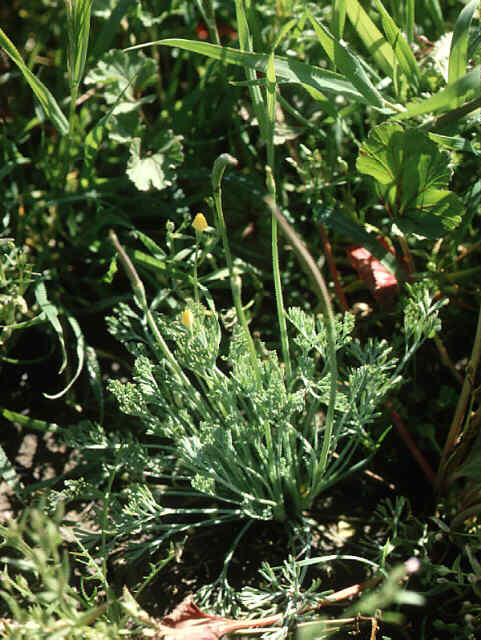 Eschscholzia rhombipetala has been collected in the past at other sites near the Carrizo Plain and in the hills to the east and southeast of the Bay area. 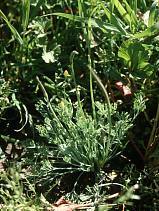 The California Native Plant Society Rare and Endangered Plant Inventory lists it as the Diamond-petaled California poppy, a translation of its scientific name. 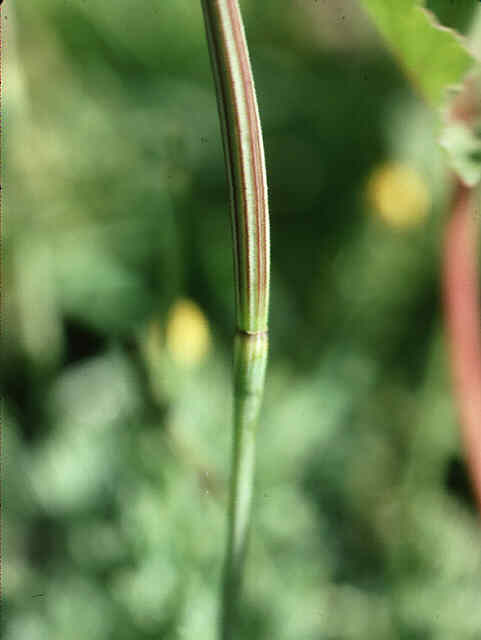 PLANT annual, 0.5-3 dm tall, erect, glabrous. LEAVES basal and cauline, terminal divisions generally obtuse. INFLORESCENCE cymose or solitary. FLOWERS erect or nodding in bud; receptacle barrel-shaped or conic; calyx blunt or short-pointed, glabrous or glaucous; petals 0.3-1.5 cm long, yellow. FRUITS 4-7 cm long. SEEDS 1.3-1.8 mm diam, spherical, reticulate, black. RARE. Fallow fields and open places; 0-500 m. Inner north Coast Ranges, eastern San Francisco Bay region, inner South Coast Ranges.